By Marcus Stewart: Barry Hearn, father of boxing promoter Eddie Hearn, said to Sky Sports News that he can’t wait for the upcoming fights that his son has put together and is confident that Tony Bellew will announce himself on the world stage in style by beating faded Columbian fighter Edison Miranda. Tony Bellew is without a doubt a talent. He shows fantastic ring generalship, is a very fast puncher and is also a very heavy handed puncher as well. His punches could be mistaken for someone fighting at cruiserweight or even heavyweight. He’s an upcoming prospect and I’m sure that he will win a world title one day. His fight with Edison Miranda is a simple task for him, but he’s fighting what many regard as a big name, nevertheless it’d be good for Bellew to have Miranda on his record. Edison Miranda was considered to be one of the most avoided fighters in boxing due to his knockout power, however everyone now knows that he’s way past his best and that this should be a simple job for much more talented and simply better fighter which is Tony Bellew. 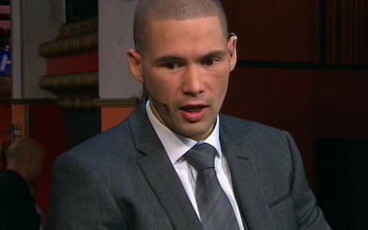 In all honesty I think this fight is pointless and I believe that right now Tony Bellew could beat Bernard Hopkins. Despite all this Bellew knows he needs to put on a show for the fans as many people are tipping him as the overwhelming favourite against the slower and generally worse fighter which is Edison Miranda. Tony Bellew and Nathan Cleverly and without a doubt the two best light heavyweights in the world right now. They’re both ridiculously fast with extraordinary punching power. Edison Miranda is better off retiring now, because he honestly has no chance in this fight whatsoever and if it goes past 4 rounds without Miranda hitting the canvas I’ll be very surprised.